In 2011, Bloomberg News wrote that New Hampshire is the easiest state in the country in which to get a divorce. This relates mostly to the state's waiting period to establish residency, however. When it comes to dividing assets, including retirement funds, New Hampshire's laws are pretty much the same as those in all other equitable distribution states. When you divorce, if you and your spouse can't reach an agreement regarding your property, the court will decide who gets what. Either way, the process begins by culling out assets that are a spouse's separate property and not divisible in divorce. These may include gifts made solely to you, inheritances bequeathed only to you and personal injury lawsuit proceeds if you were the victim. Separate property also includes premarital assets – those you already owned at the time you tied the knot. Everything acquired or purchased by you or your spouse during the marriage makes up your marital estate, to be divided between you. Retirement funds can straddle the line between separate and marital property. You might have started a retirement account before you got married, then continued to contribute to it after you wed. Depending on what type of retirement fund you have, determining what portions are marital and separate property can be very simple or extremely complex. If you have a defined contribution plan, you can determine its value on the date you got married and subtract this from its current value. Defined contribution plans include 401(k)s and IRAs. Pensions are defined benefit plans, and you'll probably need a professional to help you determine the amount of the marital share. New Hampshire courts use something called the Hodgins formula to factor in the number of years you were married, the number of years you worked toward the pension, and the asset's projected value at the time you retire. After you've established the marital portion of your retirement fund, equitable distribution comes into play. Community property states divide marital property 50-50, but equitable distribution states do it in a way that seems fair to the judge. New Hampshire is an equitable distribution state, but its statutes direct judges to begin with the presumption that a 50-50 split is fair. Therefore, if the marital portion of your retirement fund is $100,000, the judge must order that you and your spouse each receive $50,000 unless other factors would make this inequitable. New Hampshire is somewhat unique in that it specifically mentions retirement benefits in its equitable distribution factors. If your spouse never worked because she always figured she'd be right there by your side when you began collecting pension payments, the court can consider this. She may receive a full 50 percent of the marital share of your retirement benefits because your marriage discouraged her from working and earning her own retirement funds. By the same token, the court can consider marital fault if it contributed to the breakdown of the marriage, so if she was guilty of some misconduct, such as adultery, she might not get a full 50-percent share. After all is said and done and your divorce is behind you, some retirement funds require that you take an additional step. This is a federal rule, not unique to New Hampshire. Other than IRAs, most retirement plans require qualified domestic relations orders – known as QDROs – to facilitate the transfer of your spouse's portion to her. A QDRO gives the plan administrator authority to divert your spouse's share, either immediately or at the time you retire. Otherwise, federal law prohibits these retirement monies from going to anyone other than the plan participant. When a QDRO is done correctly, neither of you have to pay any extra taxes or penalties due to the transfer. Drafting a QDRO can be a daunting, exacting task, however, and you may need the help of an accountant or lawyer. Family Law New Hampshire: I'm Getting Divorced in New Hampshire – Can I Get Part of My Spouse's Retirement or Pension? Bird, Beverly. "New Hampshire State Divorce Law Regarding Retirement Funds." 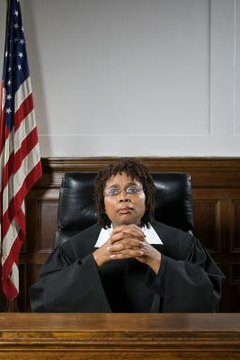 , https://legalbeagle.com/12337377-new-hampshire-state-divorce-law-regarding-retirement-funds.html. Accessed 19 April 2019.